Omós (Respect) is our third collaboration. It features 20 new tunes/airs on 14 tracks. Once again, all are newly composed. When we were recording this project we were in mind of our musical heroes and influences. This is reflected in the tunes that came about. 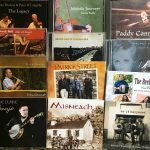 We felt that some patterns and pulses in Irish Traditional music are disappearing and we made a conscious effort to include some of them in this recording. We also felt it would be good to show how different styles vary from one area to another. In the past, a community gave voice to its culture and people through it's song and dance and poetry etc. The more cohesive a community, the more distinctive that voice. Modern times has seen these voices homoginized and a great watering down or weakening of our culture has taken place. What has been for so long such a rich tapestry of expression is rapidly becoming one splurge of conforming sound and vision shrink wrapped in suitable sterile commercial packages. We pay homage to various musicians and traditional composers who fit better into the older ways of unique voices and character. History used top be a constant in our culture with a strong tradition of telling and retelling the stories of our people. We mark this by playing a piece in homage to a major historical event, the sinking of the Titanic. But for the pigheaded-ness of my great grandfather, my grand aunt would have perished on the ill fated voyage. He tore up her ticket sent by her boyfriend from America. She later received another ticket on another boat and never came home once she crossed the Atlantic foam. We also celebrate community by playing three different airs, each representing a different person. Then we play the three simultaneusly, representing community as if the three people were giving voice together. Tá an t-am sin tagaithe arís agus táimíd chughaibh le ceadal ceoil úr. 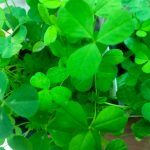 Le cúnamh Dé, tá sé foirfe agus oiriúnach don ócáid. This album is about the influences that shape our music. Each healthy community has a voice and it is expressed most keenly in music. 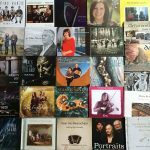 Whilst jigs, reels and other rhythms are the formats used, and while many notes are to be heard in its exposition, it is in the shaping of melodic lines and their phrasing and ornamentation that expression and communion is found. Like a good poet, there are sometimes good composers to make new melodic shapes or tunes or songs. They reflect their community. Community differs from one landscape to another, from one history to another, from one inherited memory to another. Thus we have the multicoloured tapestry that is indigenous Irish Music. As Irish Music is becoming commodified, these colours are being homogenised. This album is about noting and paying homage to some of the great composers and local expressions of our music. I hope my attempts at new melodic lines do justice to these people we so admire and shine a light on some of these local differences. As we recorded this album in An Draighean during November, one can occasionally hear the crackling of the fire or the rumble of the wind in the chimney. We did not eliminate the natural sounds, such as buttons clicking on keyboards or tapping feet, either, so that what you have is what we did on those dark and damp winter evenings. 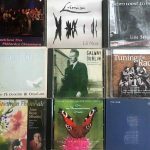 All these tunes I have written are in homage and dedication to some of the great composers and shapers of our music and an acknowledgement of some of the communities whose voices have been heard in the form of a local or regional musical sound language. 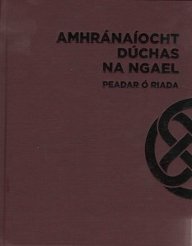 Táimíd Triúr fíor bhuíoch do gach naon is nídhe dar chabhraigh linn chun primhléíd seo seimint ceoil do bheith ar ár gcumas. 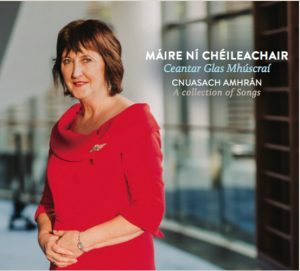 Táimíd buíoch agus mórálach as ár lucht leanta is tacaíochta leis agus tá súil againn go mbainfigh sibh uilig taithneamh as an iarracht ceoil seo. "Playing with Peadar and Caoimhin is a rejuvenating experience. The tunes are full of the heart and soul that make this music what it is. The homage to the various composers, players and styles on this cd is testament to Peadar's deep understanding of this music and his exceptional compositional insight. I love to play these tunes and I especially love playing them with Caoimhin and Peadar." This is the third Triúr album now: a triumvirate of recordings full to the brim of beautiful tunes from the pen of Peadar. We gathered again in Peadar’s house to breathe life into these new-born tunes. Our challenge was, once learned, to find the rhythms, pace, dynamics that each tune desired, the phrasing, the instrumentation, the push and the pull that fit each best; then to press the big red button and record them, to share them here with you. It has been a great education for me, making this music with Peadar and Martin. I hope it does you as much good to hear it as it did us to make it. Fair play to Peadar! Beyer M160 Ribbon Microphone and Caoimhín brought two Brauners, for his fiddle and as a room/ambience mic. We recorded straight onto Protools using a Zoom R16 desk. We used very little effects, edits, EQ etc. during the mixing of the album. Martin plays a fiddle by Lowenthal and a bow Nürnberger. Caoimhín plays a hardanger d’amore made by Salve Håkedal and a baroque bow by Michel Jamonneau, a Sam Murray D flute, a Patrick Olwell F flute and a Clarkes C Tin Whistle. 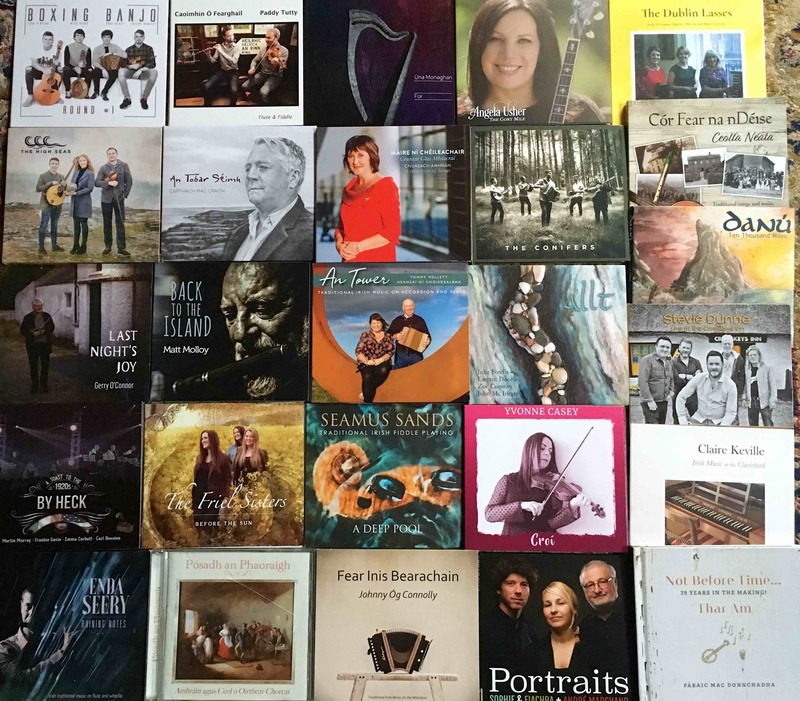 Clare is the home of much of our music. West and East Clare have two different styles. Some time ago, the West Clare boys took a fancy to minor modes and keys and so doctored their tunes. It is a lonely affair for those of us who knew them, to remember our old pals like Junior Crehan and Bobby Casey and John Kelly or to look Eastward and remember Martin’s father P. Joe Hayes or Paddy Canny or Martin Rochford or Joe Bane and all the gang. It is their whispering in our ears that teaches us which way to turn and motor when we play or make a tune. Sadhbh is my youngest daughter and has inherited a gene from her maternal grandmother, Kathleen Burke Moloney from Kilmalley, that causes her cup to overflow when music is playing. This is the way i think of her musically. Micho Russell was a great and creative and unique tin whistle and flute player from Doolin in County Clare. He would strip a tune back so that the structure of the melody was allowed to shine out in classical, clean lines. He is a constant influence in our playing. Proinsíos Ó Maonaigh was a friend from Teelin in Co Donegal who I always found warmhearted and good fun. He spent his life working for our language and culture and, with his wife Kitty, raised a wonderful musical family who are well known today. But it is his affectionate and witty company that i miss most. Paddy Fahy has been composing tunes for many years and they are now solidly embedded in the tradition. They are of a wonderful colour with melodic weaving lines that poke out corners in a languid fluid kind of movement. 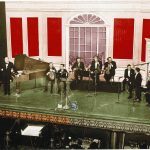 Michael Tubridy has been a constant and gentle presence in Irish Traditional music since the early fifties. A founder member of Ceoltóirí Chualann, he has always been in my life also as a friend. From West Clare, he is one of the few who still plays single reels and other older formats. These are two single reels in his honour. We three have always enjoyed his music and company. There are three strands or melodies here each representing different people. When they come together they form a communion or community. I dedicate the third strand to the memory of Fionbarra Ó Criódáin from Baile Mhuirne who was a quiet and gentle friend who appreciated nature and abundant life around us and was a keen helper to many in our community who now miss him. The first melody is dedicated to Caoimhín’s mother, Máirín, a teacher and wise lady who has helped us from time to time. A teacher is a very important part of every community. The second melody is dedicated to Martin’s wife, Lina. A strong partnership is the building block of community. Tony Mac Mahon is one of our heroes and a constant supporter and fan. We have learnt a lot from him over the years, not the least of these being to be bold and not to be afraid to state one’s opinion. I have known Tony since the late sixties and have always worshipped his style of playing and music. This march is to honour him. The story goes that the Dwyers were originally from Tipperary. In the mid 1700s, three brothers were evicted and ‘transported’ to the colonies. But while shipboard and heading out to sea to, perhaps, return no more the brothers jumped overboard as they sailed down by the Beara Peninsula. They came ashore on Dursey Island and eventually settled and reared families. It has been our privilege to know Finbar and John, Roibeard and EllaMay and their families. Finbar is pure musical genius as is John who is equally adept at composing a tune. But then, so are all this very musical family. We salute them. Polkas and slides are dance rhythms common in certain parts of Ireland and used usually for community dancing in groups of four couples or sets. Each area has evolved its own unique signature or sound. 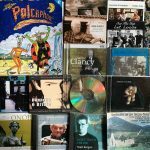 With the growing popularity of Irish traditional music, a certain homogenisation has occurred and these local sounds are fast disappearing. In this selection, I tried to compose three polkas that bear the signature of their own area and hopefully they show this difference in tone and colour. Duibhneach is from west of Dingle – a sound originating in the Blasket Islands; Sliabh Luachra is the area straddling the Cork Kerry border and touching parts of Limerick; and Múscraighe - my homeplace - is a mountainous area stretching south from Sliabh Luachra into West Cork. The image of the enclosed multilayered world of the Cunard Liner Titanic, as she sailed pristine seas to her doom, is an image that is etched in my mind. The sparkling, shimmering, bell-clear blues, greens and whites of that silent, cold, climate with its floating beautiful white mountains of hidden jagged teeth waiting for her as she steamed straight along to her doom. From this heavenly stillness she fell to earth and down, down to the deep. This is the sound of that floating dream in my mind. I like dancing as does Caoimhín and Martin. But I love the odd waltz with the wife, Geraldine Moloney from Glandree. She is the best dancing partner I ever had the joy of taking to the floor with and I dedicate this tune to her and to all those who get up and dance and dance. Some people might turn their noses up at making a waltz but I find it a happy affair. Kathleen is my mother-in-law. We three always talk about music makers and shapers of our tradition and in this talking, Reavey is often mentioned. A Cavan man born in 1897, he moved to America with his family. He came home twice in his life but his music was firmly rooted in our tradition as surely as if he had spent his life in Barr na gCrobh. It shows that our tradition lives in its people wherever they are. This is a format I am working on as a long term project, searching for forms. On the two previous albums, the melodic verse was long, here it is short. The text is in Irish and loosely translated below. Gach lá nuair a mhúsclaím, - áthas gliondarach croí. Roim eirí do dhaoinibh, ath-chuairt ar ár mbith. A gcómhcheadal seinnte le breacadh an lae. Uain ag méidhleach, iad óna máthair ar fán. Músclaíon na daoine, céile caoin is leannaibhe. Sruth eile ag gluaiseacht, fuinneamh daona mar chím. Cosáin ceanna is grádha, ‘sé dhíbríon imní? Idir Neamh agus Talamh, Dia rundiamhrach le ríomh. Ach an aoibhneas seo inár dtimpeal, tugtar árd ar go cuí. Gan beatha, níl míriúilt, ach tost balbh fada - neamhní. Awakening with the day, the heart fills with happiness. A gift of more time to spend in this living space. Hares dance, our dead return to us again. Cows lowing as they seek the milking relief. Lambs bleating, estranged from their mother. Friends, neighbours or memories of people dear. Another stream weaves, human energy I see. By whatever name be it boasted or be called. For without life there is no miracle, just long dumb silence - nothing. 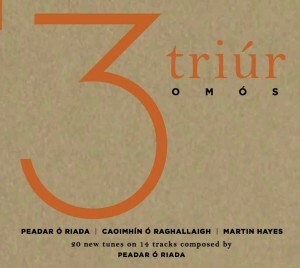 All Tracks composed by Peadar Ó Riada.